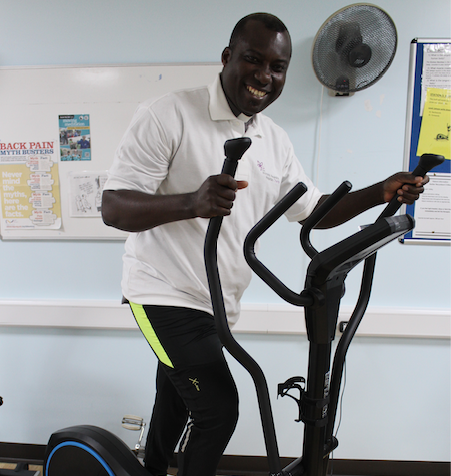 A HOSPITAL chaplain is taking on a mega challenge in aid of his hospital – and is hoping people will come and support his mammoth effort at the Harvey Centre, Harlow, on Thursday 18 April. 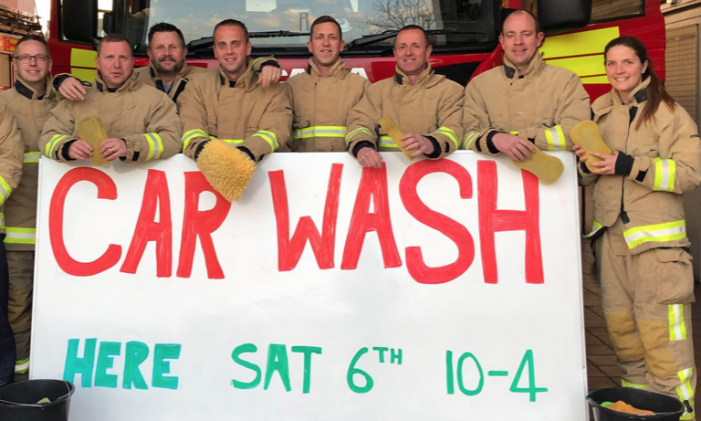 CHARITY Car Wash today (Saturday 6 April) 10am – 4pm at Harlow Fire Station. 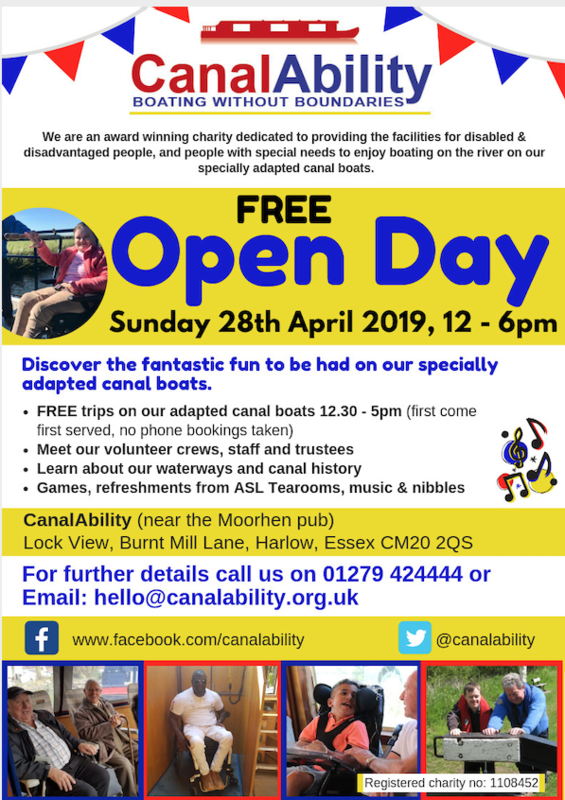 DISABILITY charity CanalAbility, will be offering free cruises on specially adapted canal boats along the beautiful River Stort at their free Open Day on Sunday 28th April. 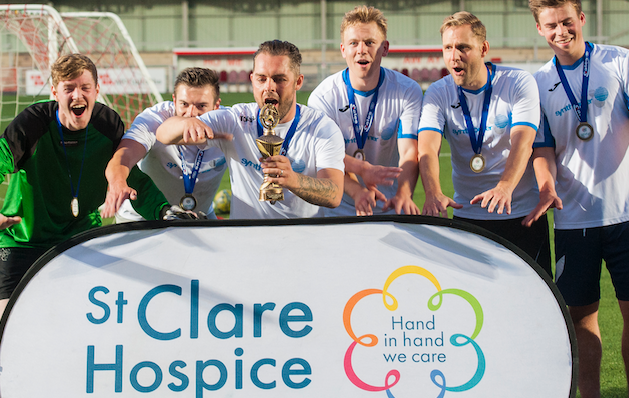 ST Clare Hospice’s annual sporting event, the St Clare 10k, is fast approaching – on Sunday 7th April – but there is still time to sign up before advance registration closes on Monday 1st April. 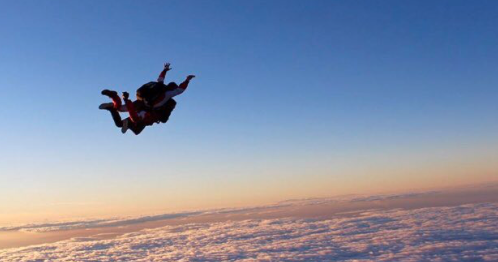 Those who miss this deadline needn’t worry; they can still register on the morning of the event. 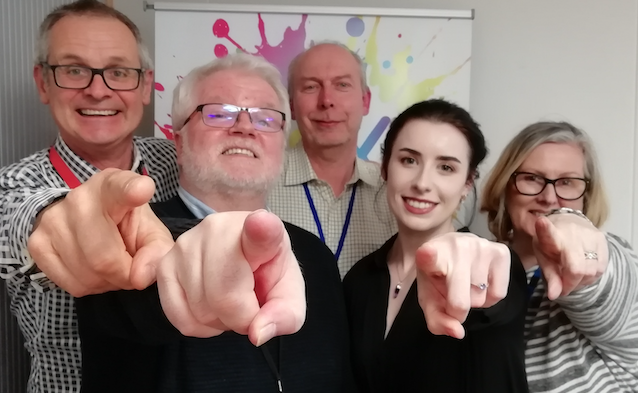 APRIL is Bowel Cancer Awareness Month, a fantastic annual opportunity to raise awareness of bowel cancer and funds to support their work. 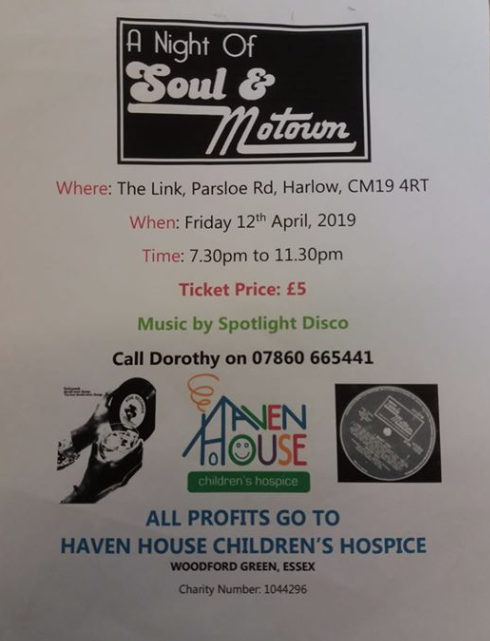 A Night of Soul for Haven House Children’s Hospice. Full details on poster. 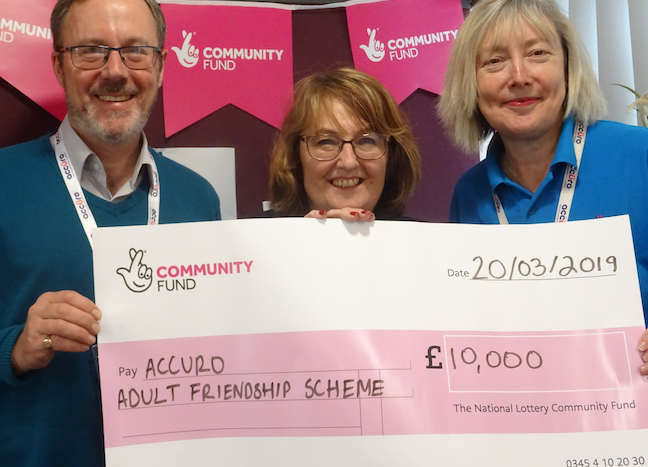 IN March 2019, Accuro was awarded with £10,000 for their Adult Friendship Scheme by The National Lottery Community Fund. 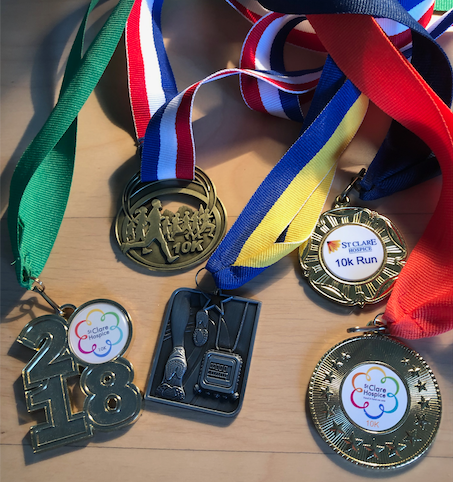 THIS year, a team of twelve will be tackling the world-famous London Marathon in aid of local charity, St Clare Hospice. 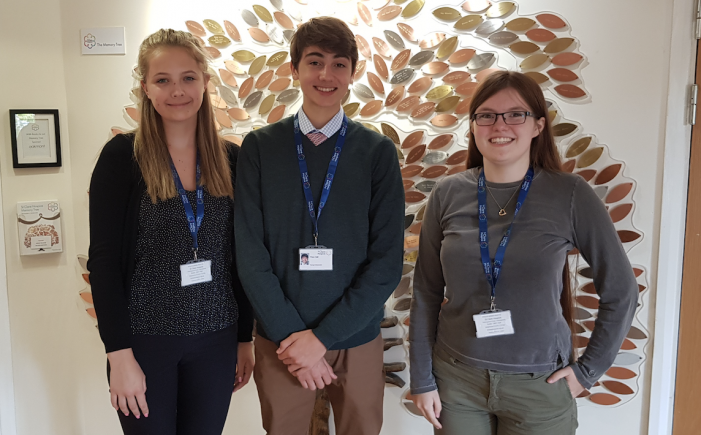 On Sunday 28th April 2019, they will represent the Hastingwood-based hospice at the UK’s largest marathon, taking the 26.2 mile route through the capital. 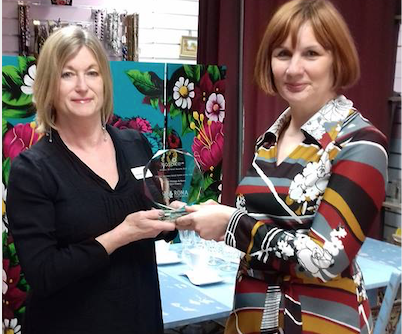 Carers living in Harlow can get funding to make their lives better. 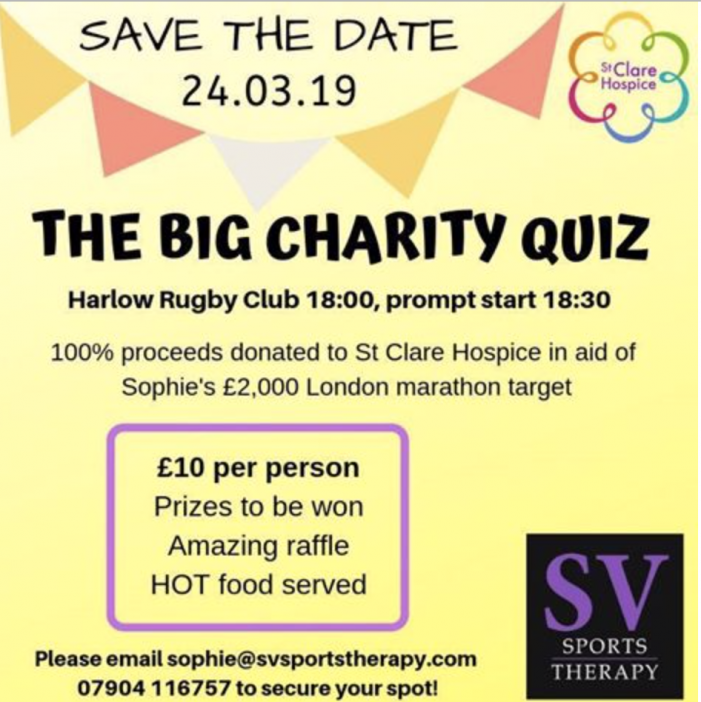 THE OWNER of SV Sports Therapy based in Harlow Rugby Club is raising funds as part of her attempt to run the London Marathon in April. 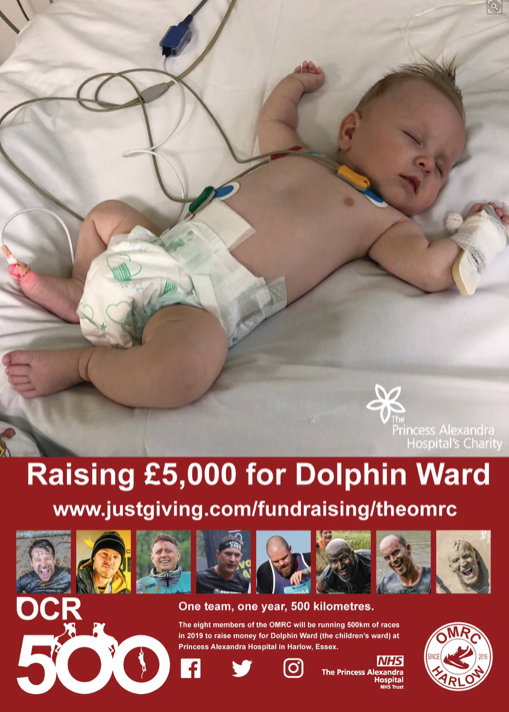 IN MARCH, we are going to be interviewing members of the Old Men’s Running Club (OMRC) as they attempt to raise £5,000 by running 500 kilometres in a single year. 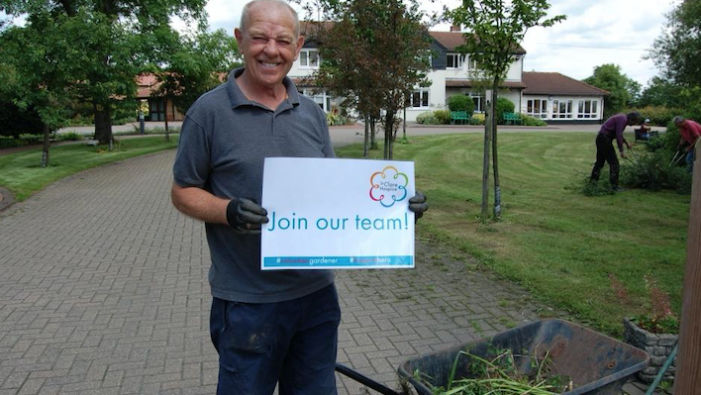 THE Harlow Tye Rotary Club are ready and able to offer you that challenge. 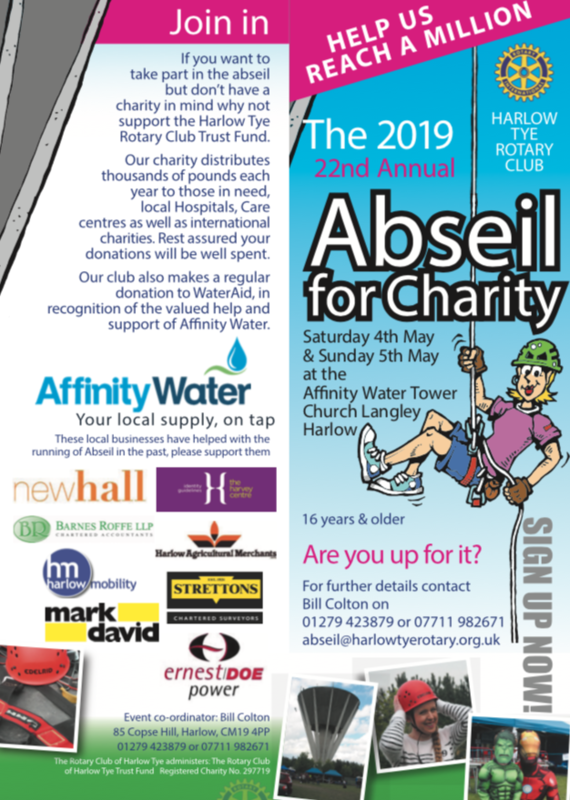 On the Saturday 4th May and Sunday 5th May 2019, they will be offering you the opportunity to abseil from the top of the Affinity water tower. 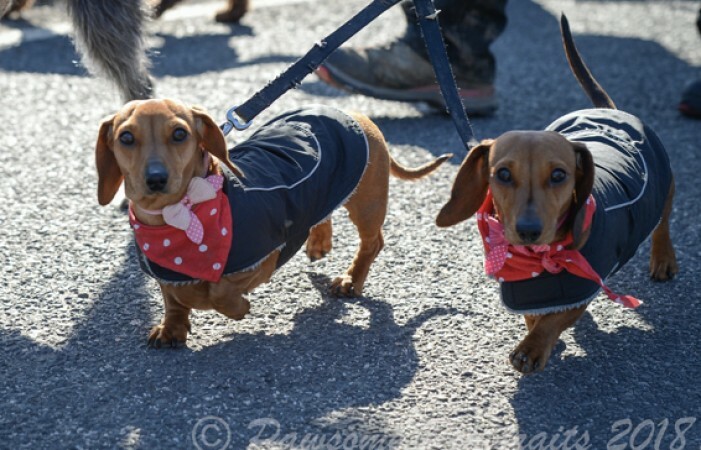 STAY ahead of the pack by joining us for our popular annual Winter Walkies event on Sunday 24th February 2019. 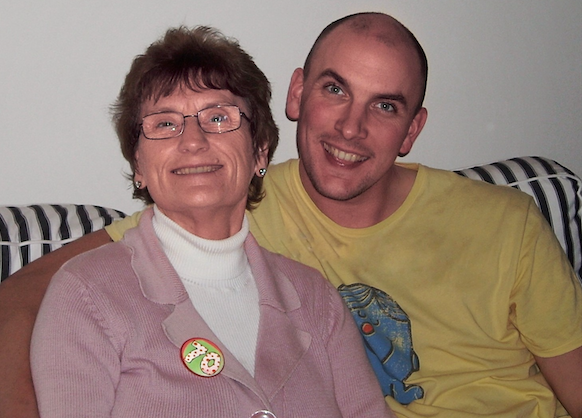 FIVE years after its launch, the iconic Memory Tree at St Clare Hospice continues to offer a special tribute to local families who have lost a loved one. 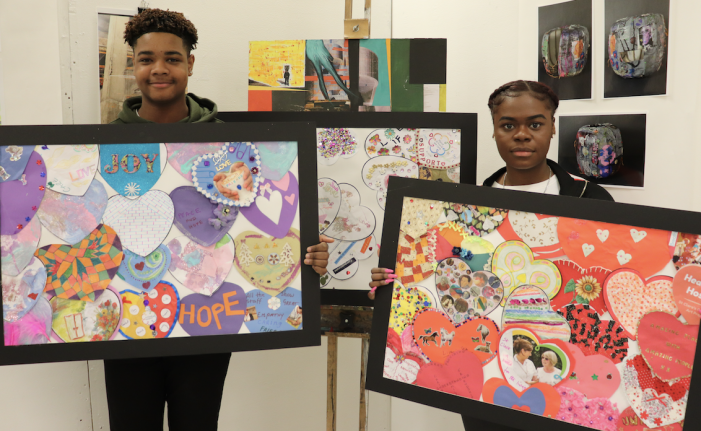 A HARLOW sixth-former is taking on a sky-dive for a very worthy cause. 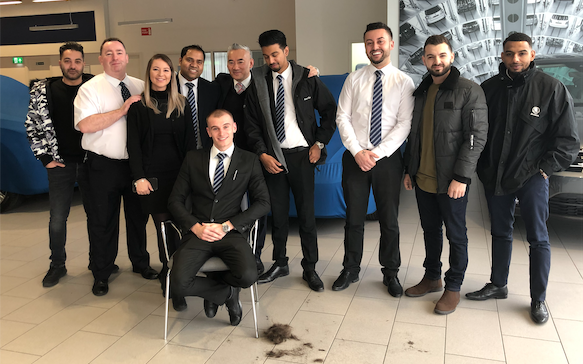 A TOP car executive from Harlow has pioneered a fundraising effort to raise funds for a four year-old girl with a rare form of cancer.